The Good, the Bad, and Godzilla 続・夕陽の呉爾羅: TSUBURAYA SPEAKS OUT ON ILLEGAL ULTRAMAN Open Online Letter Unloads on China Knock-off! TSUBURAYA SPEAKS OUT ON ILLEGAL ULTRAMAN Open Online Letter Unloads on China Knock-off! Unauthorized Ultraman "licensed" via Chaiyo's ally UM Corporation. BREAKING NEWS! BREAKING NEWS! BREAKING NEWS! BREAKING NEWS! The following is my own translation of an open letter, published on Tsuburaya Productions' official website, from their President Shinichi O'oka, concerning the surprising news issued last week in the Chinese media, concerning the latest feature film in the on-going and popular Chinese-produced CG Animation series, "Dragon Force", now featuring Japan's greatest superhero, Ultraman. The renown character was first created and produced by Tsuburaya Productions in 1966, creating an extremely successful, long-running franchise. In 1997, a Thai film producer and director, Sompote Saengduenchai, produced a contract stating that he owned the rights to the first six Ultraman Series, allegedly signed by the late Tsuburaya Productions CEO, Noboru Tsuburaya, who passed away - coincidentally - two years earlier. For a decade, battles were fought and won, but Sampote and his agents (including UM Corporation, Golden Media Group Inc., Tiga Entertainment Company, Ltd., and Ultraman USA) persist in breaking Thai and Japanese court decisions (read about this history, here). 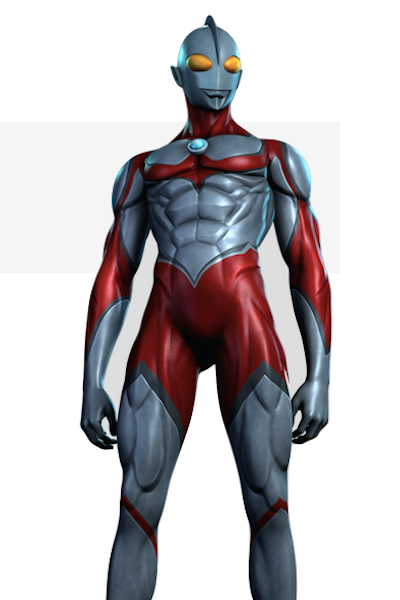 On July 10th, 2017, Guangzhou Bluearc Animation Studio, a Chinese corporation based out of Shanghai, China, issued an announcement for their latest production using "Ultraman Series Characters", and entitled "Dragon Force: So Long Ultraman" [Mandarin title: Gāngtiě fēilóng zhī zàijiàn àotèmàn, scheduled for release this October]. Regarding this announcement, we were completely unaware of their production, and the picture was made without our authorization or supervision. Also, use of various Ultraman characters and footage in this presentation/trailer seriously damages the Ultraman brand, so these actions should be resolutely condemned, and likewise deemed as absolutely unacceptable. Now, vis-à-vis the handling of usage rights concerning the original Ultraman series productions ("Ultra Q", "Ultraman", "Ultra Seven", "Return of Ultraman", "Ultraman Ace" and "Ultraman Taro"), outside of Japan; these long-term disputes are still being pursued in several territories. Regardless, in each and every judgment, so far, we have been persistently declared the legitimate producers of the Ultraman series, and holders of all respective copyrights, therein. Furthermore, all associated rights to create new productions, such as this aforementioned [Chinese] production, or any modification or adaptation of the Ultraman Series Characters, new or existing, still belongs solely to our company. Based on the above, we intend to take decisive measures, including vigorous legal action, against the Chinese companies who willfully participated in and made this presentation trailer, and additionally, all parties involved in the production of the picture, itself. We are deeply remorseful if this situation has been the cause of any concern and/or inconvenience; we also sincerely apologize from the bottom of our hearts to our valued clients, shareholders, and the fans of the Ultraman Series, as we look forward to your continued patronage and support. Thank you for your consideration. View the trailer, here, and stay tuned for more news as it develops. I had no idea something like this was happening.